Could recent creation be true, but not Christianity? Sid M from New South Wales, Australia, wrote a poignant and thoughtful letter in which he shared his rather unusual situation; convinced about the need for a Creator, but unsure to the point of disbelief whether that was the God of the Bible—indeed, whether the Bible could be trusted at all. His letter is reproduced below, followed by a response from Dr Carl Wieland. The Bible claims to be the revelation of the one who created everything. Abundant evidence from the Bible itself vindicates that claim. I hope this communication finds you in good health and high spirits. This may seem a little lengthy but I trust that you will bear with me as I have some really deep and meaningful concerns with the “religious” arguments of the Creation/Evolution controversy and in speaking with you, hopefully, I may be able to come to grips with something that has been of enormous bother to me for the past 10 years and beyond. Firstly Doctor, I must preface my letter by explaining that I am in full support of your work in putting forward the scientific evidence for a “recently created, young Earth” and any remarks I make during my discourse are not meant in any way to be hostile to either you or Creation Ministries but are a genuine attempt in searching for satisfying answers which to date, have eluded me. My wife Anna and I have subscribed to your excellent publication for close to 20 years now and we have used it (up until about 10 years ago), to share the informative, educational and even entertaining articles with others. We still subscribe and my wife is still very strong in her faith and still uses the magazine for the same purpose. For my part however, (and herein is my dilemma), I simply cannot reconcile the Old & New Testament books of the Bible and therefore I have great difficulty in attributing the Creation of the world and indeed the universe to Christianity necessarily in any logical way. Taken on their own — the first eleven chapters of Genesis makes perfect sense to me. It seems to fit perfectly well with what we see scientifically in the natural world but beyond that point it all starts to go “pear shaped” for me. 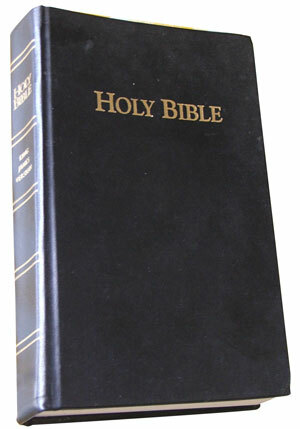 Keeping in mind how the pages of writings of the book we call the Bible came into existence and over time has become labelled “The Word of God”, one would legitimately expect a perfect Creator/God to have the ability to ensure that His Word, His commands, His blueprints for our lives and ultimately our means of salvation be passed on in such a way as to be absolutely clear and understandable. However, the Bible as I have studied it seems to be replete with errors, repetitions, anomalies, mistakes and seems lacking in many areas. It begs the question “Is it really the Word of God”? Dr. Carl, I have read many books by many different authors over the past 20 years on the inerrancy of the Bible and to be honest they have simply failed to answer the questions on scientific grounds and have raised more questions than they’ve answered. The author has, in the finish, appealed to the readers’ faith. The fact that these books even exist are, in themselves, confirmation of the confusion which exists amongst all of Christendom in trying to interpret “God’s Word”. According to Christianity, my “Salvation” depends on my believing that Jesus died on a cross. Yet intellectually, this makes no sense to me on the basis of an Omniscient Creator. I am in the unusual position of being a creationist because scientifically I know that the universal laws, plus common sense, simply prohibit Evolution as a viable alternative yet my experiences and study of Christianity over the years seem bereft of any logic or purpose. I am certainly not an Atheist as the evidence of a Creator stares me in the face every day. I am not Jewish, Islamic, Buddhist, Spiritualist, Satanist, Humanist or any of the myriad of Sects and Cults. The closest I can get to describe myself these days is an Agnostic but even that has it’s faults. I guess I have become A-Religious or perhaps just a Realist. My wife and I both grew up as Catholics with all the religious trappings that faith expounds. Always well meaning but mostly a groundless faith based mainly on the whims of the power brokers of the day. After we had reached the age of reason, got married and the kid’s started appearing we started applying the Litmus test to our faith system against our own Catholic Bible and found it wanting in many areas. Areas which I’m sure you will be aware of such as the transformation of bread & wine into the literal body & Blood of Christ, the birth of Jesus from a “sinless” Mary, Mary being the mother of God, man-made restrictions such as unnatural vows of chastity which seemed so contradictory to the command to “go forth and multiply”, bans on eating meat on Fridays, mortal & venial sin, the elevation of the Pope as the go between twixt man and God. Purgatory, etc. The list goes on and I’m sure that you would be aware of many more. Yet — even in the cold hard light of critical examination, this cult (probably the world’s largest), still survives and prospers very well thank you. This despite us living in a literal information age where it’s possible to verify practically anything you wish and even though Catholics have essentially the same set of scriptures (albeit with the addition of a few more chapters) as the rest of us. The one thing that quite knocked the stuffing out of me recently was when I read that the Pope had compromised his faith so stupidly by decreeing the Theory of Evolution as “Gospel”. So, where am I going with this? If you wouldn’t mind indulging me a bit further Doctor, I will try and explain. The Resurrection is one of the best-attested facts of history, providing powerful evidence for the divine identity of Jesus of Nazareth and for the historical accuracy of the Bible. We can apply the same litmus test to any of the faith systems of today. Those such as Joseph Smith and the Mormons, Charles Taze Russell of the Jehovah’s Witnesses, Mary Baker Eddy of Christian Science fame, Seventh Day Adventism, Scientology, Judaism, Islam, Shintoism, in fact all the isms and we would find them all wanting when held up to the candle light that we call the Bible. Even in so called Bible-based faiths such as Baptists, AOG, Born Again circles, Uniting Church, Lutheran etc, they are just too numerous to mention them all, there are so many differences of opinions about this and that passage in Scripture. These differences are so impassive that they create divisions all over the place and I respectfully suggest Doctor that if this book was really the word of God, there would be definitely no room for argument or dispute. There would be absolutely no doubt, because where I spend eternity depends on this book being correct and if God is going to Judge me and find me wanting and throw me into some lake of fire for eternity then it is really encumbent upon him to give me a complete set of rules upon which I will either succeed or fail. One may argue that God did in fact give us a set of rules by way of Moses and the Ten Commandments but this story has difficulties. For one thing, I wasn’t there. I have to believe that God himself wrote those things in stone at the burning bush and if true, where are they now? Why is it incumbent upon me to believe such a story? I mentioned Joseph Smith above. While I certainly don’t give his story any oxygen I see no difference between his story and that of the writer of the burning bush scenario except for the passage of time and the education and enlightenment of humanity generally. Incredible as it seems, a lot of people believed the Joseph Smith story and to this day we have the Mormon faith. The same can be said for Charles Russell and his predictions concerning the 144,000 chosen people and the end times prophecies etc, he even named dates. These dates have been and gone yet Jehovahs Witnesses still flourish and grow. One must ask, why is that? Doctor Carl, what if, I mean just what if, we as Christians (in my case a former Christian), have been blindly following and defending a fantastic story, a tale so well thought through that many people over the years have picked it up and ran with it and over time and in the absence of any way of checking it , it has become engrained in our culture and we have been made to believe it for the purposes of control of the people perhaps? 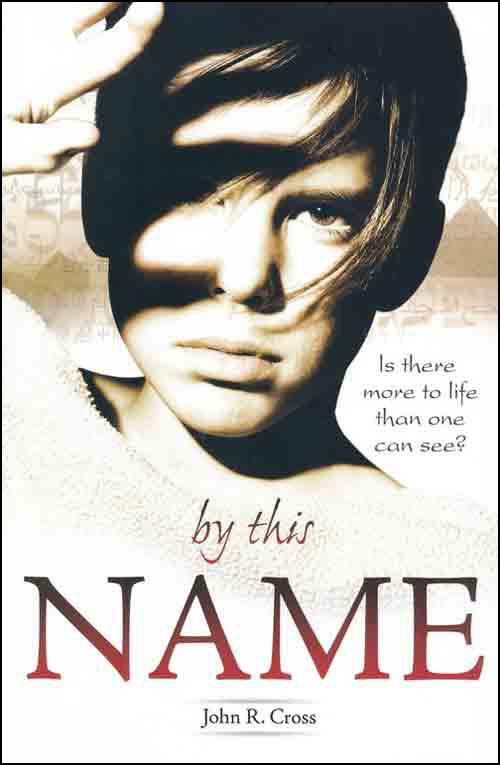 The story and the plot itself is not beyond the talents of renowned writers in history but at the same time it does have evidence of much fallible human input. We judge forgeries by looking at the real thing and we can judge cults and sects by judging them against the Bible but which Bible? And, how do we judge the Bible itself? No, the Christian story makes little sense to me when told the way it is. There is absolutely no reference to Christ or Jesus in the Old Testament, apart from very long bows drawn up perhaps by the compilers of it. When one realises that there is very little historical evidence for the resurrection of Jesus or even his actual existence apart from what is written in the gospels and perhaps a few tidbits by Josephus one tends to become a little sceptical. Add to that the fact that there are more gospels than we were ever told about. Dr. Carl, you are a good man I’ve no doubt and I’m guessing that you have a heart bigger than your body. Your knowledge of the subjects and your unwavering persistence against your evolutionary detractors is most admirable. Whenever I’ve seen you debate, you are a glowing example of humility with strength and lesser men (myself included) would crumble. But, what if, in the end it turns out that the Designer, Creator, God of the universe was not the Jesus of the Bible. I mean it’s quite possible to be right in every scientific aspect of your arguments but be in error about the spiritual. I wonder if you have ever thought about that over the years and if so I’d be more than interested in your conclusions? I keep coming back in my mind to all the Sects and Cults that have developed throughout recent history and wonder why they still have a strong following even though when put under the modern microscope they are really just fabrications. Then I think about the Resurrection of Christ and the miracles he performed in the Bible. No doubt, if anyone claimed these events in today’s society I’m guessing one of two things would happen, Either they would be laughed out of town or every knee in the world would bend in honour of God. 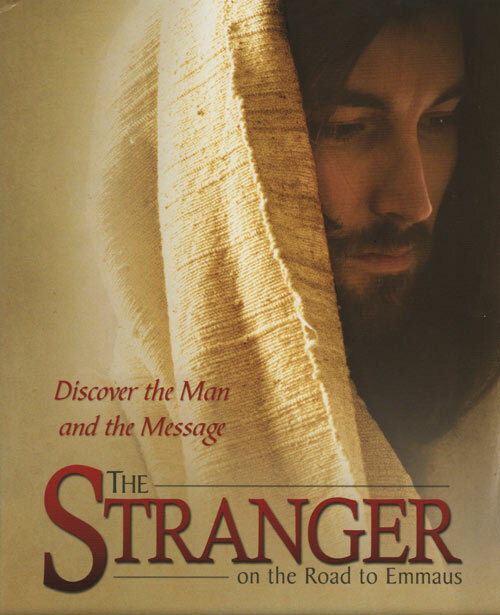 Is it just possible that in the passage of time the Jesus Story has grown out of all proportion to the point where it has simply become a reality to those of us who have been so educated from birth. A rolling stone if you will that has gathered so much momentum that nothing has ever been able to stop it? Thank You for listening to me Doc. You indicate you have no argument with the overwhelming evidence that a Creator is required to explain origins. But you question whether that might not be a Creator quite other than the God of the Judeo-Christian Bible—in fact, you find it hard to think that the Bible is what it claims to be. You present a number of reasons for this serious doubt—so considerable, in fact, that the doubt, as I understand it, could best be described as having reached the point of unbelief. Being familiar with our publications, you would be aware that yours is a very unusual situation, to put it mildly. Most people we come across who doubt Christianity come at it from the other angle altogether—they feel compelled by the “scientific consensus” to think that evolution and millions of years is true—and therefore they reject the Bible/gospel. Which is, one might add, a very rational thing to do, because evolution/millions of years logically undermines the rationale of the Gospel, and the trustworthiness of even the most basic things in Scripture—the origin of sin, and of death—in fact these are the very reasons given in the Bible as to why Christ came to die. And of course, the authority and trustworthiness of the whole of the Bible itself. But you would know all that, of course, from our materials. Thanks to what has been called “blessed inconsistency”, some people can still live with a form of “intellectual schizophrenia”1 —wherein they accept the truth of the Bible and the propositions of the Gospel, yet at the same time, they hold to belief in an evolutionary worldview which logically totally undermines all that. Some resolve the tension by ultimately sliding into disbelief. In your case a different, much rarer form of intellectual tension seems to be involved—one wherein you accept on intellectual grounds that the evolutionary worldview can’t be valid, but at the same time, you reject the propositions of the Gospel (and the authority of the Bible) on intellectual grounds, too. Of course, if (we would say since, as that is our starting position in any reasoning) the Bible is true, then the Bible itself makes it clear that belief in or rejection of the Gospel is ultimately not the product of a purely intellectual process, but involves the action of the Holy Spirit, God’s grace, and so on. So (pardon the temporary excursion here) why do we engage in defending the Bible, exhorting people to faith and so on? Because, quite simply, we are commanded to do so. The Great Commission of Jesus Christ in Matthew 28:18–20 indicates that believers are to make disciples, to help bring others to Christ—and that includes breaking down intellectual barriers to belief. Paul described the work of himself and his fellow Apostles as including tearing down or demolishing “arguments and every pretension that sets itself up against the knowledge of God” (2 Cor. 10:5). Is it just an intellectual issue? Where this sort of activity results in conversion, we don’t see that as a purely intellectual outcome, but rather that the Holy Spirit has been pleased to use our puny efforts to bring that person to the Father, by grace, through faith in the blood sacrifice of God the Son. We have more than once seen the situation where people are brought to what one could call an ‘ah hah!” point, where the scales temporarily drop from their eyes and they see that evolution is in fact intellectually indefensible, but they cling to it anyway, because it becomes clear that at some deep level, they want to reject the God of the Bible. This reinforces the Bible’s own teaching in Romans 1, concerning unregenerate people, i.e. those whose mind and heart and spirit have not been regenerated through the work of the Holy Spirit, making saving faith possible—in short who are still overall in rebellion against their Maker. Of course, this rebellion may not be overt, and since we are talking about a rebellion of the heart, it may be that in all other respects they are nice people, nothing like “rebels” to all appearances. Nevertheless, that is the diagnosis of Scripture. Romans 1:18–25, indicates that a consequence of their rebel status is that such folk, at least at some level, simply do not like to retain the knowledge of God, and thus tend to “suppress the truth” about God, even though in their hearts they know enough about Him (through the very existence of the created world, for one thing) such that they are “without excuse” before God. This section also makes the very sobering claim that their thinking becomes futile, not through some autonomous process, but because in some real sense God gives them up to even greater “blinding” to the truth, to thinking and acting increasingly consistently with their rejection of the Creator. Of course, this speaks directly to the evolution issue, in which such folk are seen as “professing themselves to be wise, they became fools”. And, it says, their “hearts were darkened”, as a result of which they exchanged God’s truth for a lie and began worshipping created things, birds, animals, etc. This is all a preamble so that there can be no mistake as to what is at stake here; because you and I can approach it as if the barrier is purely intellectual, but we have to face the real possibility that it is deeper than that. If the former, I don’t think it will be difficult to persuade you that the position you hold, while I am not expressing any disrespect for it, is perhaps even less intellectually defensible than the usual rationales for seeking to hold to evolution and Christianity simultaneously. I will therefore handle the objections carefully and with respect for your position, dealing with them at face value. If we agree on a Creator, what does this imply? OK, so here goes. And let me say that it’s made a whole lot easier than usual because we can start from your acknowledgement of a creator and the impossibility of evolution. Which means a creator powerful and intelligent enough to “make from scratch” separate ancestral groups of creatures, including people as people, not evolving from non-people (though able to vary within the limits of the human kind). I will henceforth refer to that Creator with a capital C, to distinguish from some vague evolutionary, new-agey “force”. If we are agreed on at least the necessity for a (big C) Creator, then I would argue that there is a very straightforward line of reasoning to a “big picture” conclusion, a very important one that means we can then deal with the other matters, like alleged contradictions and errors in the Bible, in a totally different way. In short, I believe that one can show that the Creator (the one you acknowledge as having to exist) is so overwhelmingly likely to be the God of the Bible, and no other, that it is rational to examine all the other questions you raise with the presupposition that the Bible is God’s Word—divinely inspired, and so on, till proven otherwise. The Creator of the biosphere would require not just power, but an incomprehensibly vast amount of this ‘processing power’—another word for ‘intelligence’. It’s important to note that all reasoning really starts with presuppositions (axioms, i.e. certain things that are taken for granted without being able to prove them). And there’s nothing inappropriately “biased” about that, it’s inevitable, but the question is then whether the presupposition leads to conclusions which support it sufficiently to justify trusting it further, and so on. What I’m talking about is definitely not the same as “using the Bible to prove the Bible”. But I am going too far in that direction at this early stage; let me first develop the “big picture” argument I was referring to. Modern physics affirms that space, matter and time depend on each other, and that space is not “nothingness”. You need space in order for matter to exist, for example. For a Creator to create this physical universe in the first place, it means he created matter—and this could not be from pre-existing matter, or else it cannot be called the creation of matter. Matter involves objects that exist, and events that take place, in both space and time. That means he had to create matter, space and time. And since matter is another form of energy, we now have him responsible for creating matter, energy, space and time. The amount of mass/energy which exists in the observable universe is almost impossible to comprehend. By the logical law of cause and effect, a cause needs to be greater than its effect. This means he must have an extraordinary, almost incomprehensible, amount of power, totally beyond anything we could conceive. The 2nd Law of Thermodynamics indicates that the universe is continually and relentlessly running down in terms of its availability of energy. All processes that take place in the universe decrease its overall available energy, without exception. This means firstly that the universe can’t be infinitely old. This is because it is not yet fully “run down”, not having reached thermodynamic equilibrium or “heat death” when, if there is no supernatural intervention, everything will have totally “evened out”, everything will be at the same (low) even temperature, and no physical processes will take place anymore. This also means that the universe’s Creator had to make it in a “wound up” state in the beginning, at a high level of available energy. This again reinforces the need for him to have a mindboggling amount of power—for all practical purposes, infinite, or at least near-infinite power. Further, for him to create time means he must be outside of, and not bound by, time. Hence he would be able to foresee future events. Now we will look at something more than raw power, namely intelligence—let’s regard this in very crude terms, but nevertheless something we can identify with in this computer age, as “processing power”. To make a galaxy, with all the energy of its million burning suns, involves a great deal of raw power (as in output of energy) in the sense we have already discussed. But stars are in fact not very complicated things—balls of hydrogen gas burning by a thermonuclear process. They don’t require a whole lot of information to describe them, in comparison to the huge amounts of information carried in living things. So to make galaxies out of the material he had already created, this Creator would need intelligence, yes, but it pales next to the intelligence required to make living things. So the Creator of the biosphere would require not just power, but an incomprehensibly vast amount of this “processing power”—another word for “intelligence”. And since the evidence is consistent with creation in a short time, this further reinforces the need for a huge amount of intelligence. In human experience, all else being equal, the lower the intelligence applied to a task, the longer it takes to make something. So to make and program those first groups of living organisms in a short time would require a vast amount of intelligence—i.e. infinite or near-infinite intelligence. So far, we see the following matchup. Note he does not say “I was”. He is the eternal present tense, timeless. Cf. Exodus 3 v 14: And God said unto Moses, I AM THAT I AM: and he said, Thus shall you say unto the children of Israel, I AM has sent me unto you. Isaiah 46 v 10: I make known the end from the beginning, from ancient times, what is still to come. I say: My purpose will stand, and I will do all that I please. Hebrews 4 v 13: Nothing in all creation is hidden from God’s sight. Psalm 139 vv 7–8: Where can I go from your Spirit? Where can I flee from your presence? If I go up to the heavens, you are there; if I make my bed in the depths, you are there. 1 John 3 v 20b: For God is greater than our hearts, and he knows everything. Note also the miracles performed in history by Jesus (validating His claim to be the Creator God of the Bible, God the Son through whom the world was made). Water into wine: Involves creation of new carbon atoms. Loaves and fishes: Not just creation of the elements, but their arrangement into very complex ordered systems (a dead fish has much more information than a thousand galaxies, in one sense). Walking on water, raising the dead: Power to supersede/override natural laws (people walking on water will always sink into it by gravity, and corpses will always keep disintegrating as per the 2nd Law of Thermodynamics). At this stage, what we already have is a very significant ‘lining up’ of the attributes of the biblical God with those that can be deduced about the Creator you seem to agree must exist. But—there is more to the story. Now we consider the fact that this Creator made people who have the capacity to communicate, to love and to be loved in a way such that even the “highest” of the other creatures he made come nowhere near it. By way of aside, people have even been given a sense of being able to worship this Creator. But let’s just say that they have been created with not just an ability, but a hunger to love and communicate. Note then that this Creator we both agree exists, who we have deduced without reference to the Bible must be super-powerful, timeless/eternal, and super-intelligent, has created creatures (us) with (lesser than his own) intelligence. And this created intelligence exhibits a heavy propensity to be used in communication, and in turn, this communication so often reflects the hunger of these creatures for the meaning and purpose of their created existence. Doesn’t it then seem inconceivable that such a super-intelligent Creator who has created these intelligent, communicating creatures with a hunger for “what’s it all about, why am I here” would never, ever seek to communicate anything of substance, even a hint of the answer to those questions, to the creatures he is in total charge of by virtue of having made them? The Judeo-Christian Bible is really the ‘only game in town’ as a viable candidate for such a communication from the Creator to His intelligent, communicating creatures. If we agree that it is likely (I would say overwhelmingly so) that there would be some attempt to communicate to his creatures, an obvious question is to look for ways in which he could have done so. It doesn’t take long to find that the Judeo-Christian Bible is really the “only game in town” as a viable candidate for such a communication from the Creator to His intelligent, communicating creatures. You would agree, I am sure that we can ignore religions which seem to be an obvious cynical invention by an individual, such as scientology (founded by the science fiction writer Hubbard who apparently stated to friends that a path to riches was to invent a religion) or claims by “Rael” the “alien”. The only other candidates have not only come after the Bible was already in existence, but are obvious derivatives or ‘knockoffs’ of Christianity, usually ‘adding’ to the Bible while claiming to respect its teaching. Joseph Smith’s Mormonism is an example of this sort of “added revelation” approach to the Bible. And it doesn’t take much historical knowledge to see that Islam is really a flawed derivative of Judeo-Christianity—both in time and in content. See The Koran vs Genesis. In addition, we don’t just have the way in which even secular historians and philosophers acknowledge the way in which the Bible has transformed the world—in science, technology, social compassion, etc, let alone countless tales of individual transformed lives — we have the Resurrection itself. The legal/historical evidences for its reality are well-known but summarized in the classic book Who Moved the Stone? The author Frank Morrison approached the evidence trying to discredit it, but ended up bowing the knee instead. a Liar on such a scale and with such cleverness as to exceed the greatest conmen of history—something that just does not gel when one realizes that everyone, skeptics included, seems to agree with the fact that his ethical teachings were of a calibre seldom seen before or since. or a Lunatic on roughly the same level as someone who says he is a piece of goat’s cheese. No one I know of who has read the gospels takes that one seriously, especially if they are familiar, as I used to be professionally, with actual sufferers from psychotic delusions, etc. To me, even more logically devastating evidence of the fact of the Resurrection is the historical evidence (independent of the Bible) of how the Apostles went bravely to their deaths as martyrs proclaiming that they had seen, eaten with, touched and spoken to the Resurrected Lord. Now, many people will gladly go to their deaths believing something is true that is in fact not true, i.e. they die believing a lie. For example, contemporary suicide bombers are said to willingly die believing that in this way they will have special delights in paradise. Now, it’s obvious that their willingness to die is no evidence that the belief is true, for it involves something which they have not themselves experienced. Whereas if the Apostles were not telling the truth in their claims about having personally and physically interacted with Christ after His death at Calvary, they would have known that these things were not true. So they would hardly have done what they did, i.e. to a man, at different times and places, willingly go to their deaths without recanting or resiling from these claims in any way, openly confident that they would see Him again. This shifts the burden of proof dramatically, that it is more a case of someone having to show good cause why not to believe that the Bible is what it claims to be. No other collection of information claiming to be such a revelation comes with anything remotely resembling such a résumé surrounding its internally consistent claims about itself. I suggest that this shifts the burden of proof dramatically, that it is more a case of someone having to show good cause why not to believe that the Bible is what it claims to be. I.e. it is overwhelmingly reasonable to give the Bible the benefit of the doubt, if any exists. You said that Jesus does not feature in the OT apart from some very long bows. 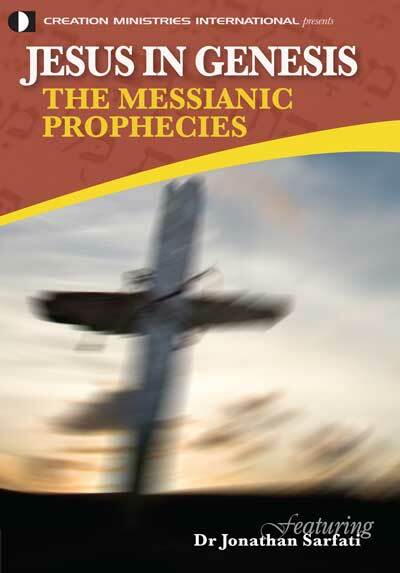 I have to express surprise, as I would have thought one of the most powerful evidences of the Bible’s veracity is precisely the way in which one can expound Jesus “commencing with Moses and the prophets”, as the Lord Himself did to the astonished disciples on the road to Emmaus. 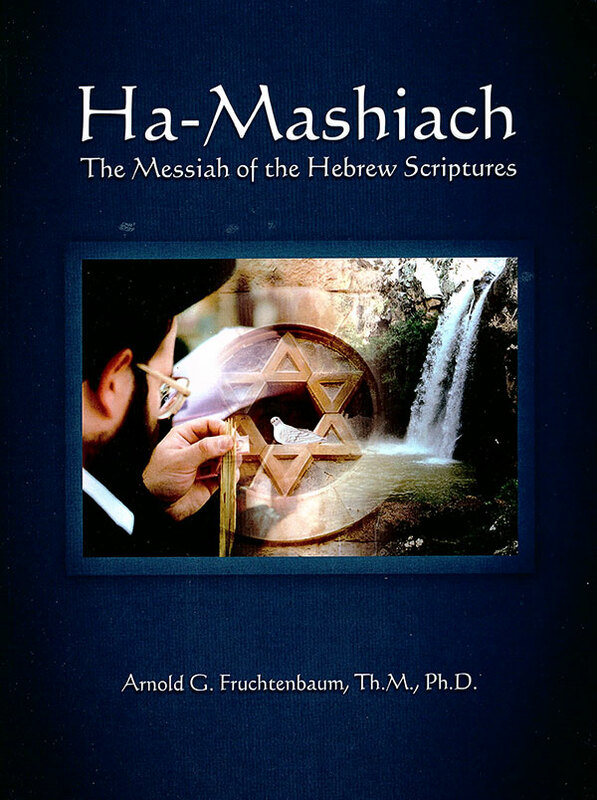 It would be worth your while reading Arnold Fruchtenbaum’s book, Ha-Mashiach, in our webstore and/or Dr Jonathan Sarfati’s DVD Jesus in Genesis: the Messianic prophecies. The matter of so-called “other gospels” is really a very trivial one, but as it raises the question of what is called the “canon” of Scripture, I would refer you to a comment about that in this article by my colleague Dr Sarfati on the authority of Scripture, as well as some relevant sections in this article by Russell Grigg about the Da Vinci code fiction. Then there is your comment that if Jesus really had done all those miracles, the alternative to being run out of town would have been for the whole world to bend the knee to God. Well, he was more than run out of town, he was hounded to death, so that would fit your speculation. But then we could ask, as suggested by your statement—having seen such miracles, who would not then believe in Him? 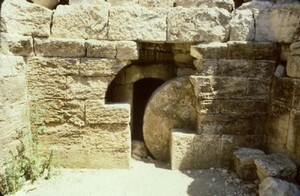 Note that Jesus indicated that if people did not believe the written Scripture of His day, neither would they believe if one should rise from the dead. That seems astonishing, until we recall the universal human tendency to rationalize things away that are unwelcome, threatening, etc. Even memories get distorted over time to fit our preferred version of events. In fact, I personally know of more than one situation in which people have seen a family member instantly healed (by God’s grace; I’m not suggesting that this is “available on demand”) from a serious medical problem for which there was no known cure, in response to Christian prayer. In each instance, some in the family became believers, some did not—even though all were exposed to the same evidence of stunning supernatural power. I’ve even seen some people who became Christians based on some similarly amazing personal experience later walk away from their faith. So we come to the alleged Bible errors and contradictions. I’m not sure what the books are which you say you have read dealing with these, but from what I’ve laid out above, I would strongly suggest that it is appropriate to use a form of argument which is known as presuppositional. Thus for any particular seeming problem, given all of that evidence in favour of the Bible being God’s Word, is there a way to resolve such and such a problem, e.g. a seeming contradiction, through presupposing that the Bible is without error? That may be where you have had problems, as it could seem to you as if some book or another is taking the approach of using the Bible to prove the Bible, or asking for faith in the Bible to help shore up the Bible. (See Dr Jonathan Safarti’s article in your September 2008 Creation magazine, called “Using the Bible to prove the Bible?”) That’s an easy and understandable conclusion, if not carefully explained, which is why I’ve come at this whole response from a perspective of reasoning to the Bible in the first instance, justifying why it is ultra-reasonable to then reason from the Bible. 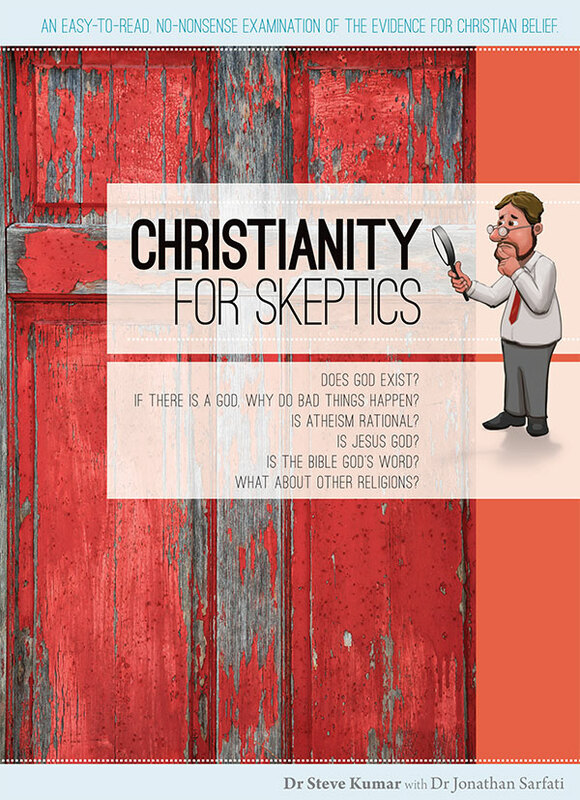 Such a presuppositional approach can be used even towards a person hostile to belief, someone advocating that the Bible is in error—because it is saying, “OK, let’s assume the Bible is what it claims to be—and see if there is some way of understanding the alleged contradiction which is consistent with that.” If one took any other collection of 66 disparate books written over a huge span of time by so many different authors, and tried to assume that they formed an infallible, inerrant whole, such an approach would quickly break down; it would collapse under the weight of countless inconsistencies. The fact that there are so few areas in which any sort of charge of error or contradiction against the Bible can even be entertained for more than a passing moment is remarkable in itself, and justifies the position of reserving judgement if there are a mere handful of remaining unanswered questions. Of course, this applies not just to the area of internal inconsistencies in the Bible, but also to the way in which the Bible is or is not consistent with observed reality when it comes to the areas where it makes claims relevant to matters of science or history. Note, too, that we at CMI choose to proclaim and defend the proposition that the Bible does not just contain “some truth” but that it is infallibly true in its entirety, including wherever it makes claims relevant to science and history. (If we suppose that it contains e.g. 99% truth and 1% error, then the whole presupposition breaks down, because who knows which are the parts that are true and which in error?) The very fact that you yourself have concluded intellectually that the framework of history given in the Bible stacks up against the evidence of the real world is itself powerful support for this. Let me now address the existence of many sects and cults (as opposed to genuine differences in emphasis or on certain non-essential points of doctrine giving rise to multiple denominations). From the presupposition that the Bible is true, the sects and cults can be easily seen as actual predictions of the Bible; Scripture makes it clear that we should not be surprised at the appearance of false Christs, other alleged “gospels”, and many attempts to mislead and deceive. Someone once said that the existence of a counterfeit is a sure sign that there is a very real original. Rather than rewrite many books, what if you were to give me your two or three top contenders, ones that, even after reading the above, you have no way of resolving, so I can see if I can provide some answers, perhaps with the help of colleagues. Of course, it is always possible that you have been able to “break through” by restudying those issues yourself, using the insights gained herein. PS You may also want to check out the section headed “Biblical evidence for the existence of a divine author” starting p.11 of Chapter One of the Creation Answers Book. Is Jesus Christ the Creator God? Does the Bible teach error? Schizophrenia is used here in the common lay understanding as meaning “split mind” rather than its clinical application, which has quite a different meaning. Return to text. Note the ‘I am’ equating Himself with the great I AM (Yahweh) of Exodus, something that angered the religious Jews as they regarded it as blasphemy. Return to text.